We are a mid size fast growing accounting outsourcing specialist organization driven by the vision to be a leading differentiated provider of outsourcing services in the accounting and reporting domain. Our functional specialization and laser focus in specific industries has helped us not only grow faster than industry averages but also helped us retain clients for years. Many of our clients have been with us since our early years. Driving the growth and vision of the company is a dedicated and qualified team of employees across all levels. A brief introduction to some key team members is listed below. Priyankar is IIT alumnus and a MBA from ISB (a reputed business schools in Asia, with tie-ups with Wharton, Kellogg and London business schools), ranking among Top 5 students in both the courses. 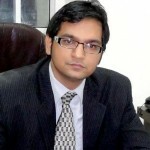 He has worked as a management consultant for a leading Indian business house (Tata), handling assignments covering industry and competitor analysis, portfolio analysis, business formulation (along with detailed financial projections) and financial modeling. 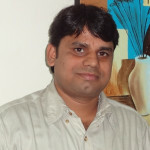 He has substantial experience working with major Indian companies in retail, consumer goods and engineering goods sector. He also has channel marketing experience in Colgate Palmolive (India), working on marketing campaigns for one of their top brands. 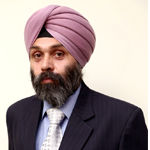 Tajinder Singh has rich accounting experience of more than 15 years with international accounting experience of 11 years across real estate, property management and IT services companies. 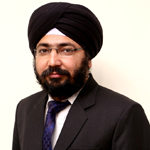 Tajinder has successfully transitioned and executed many multi- member processes across a wide spectrum of real estate companies such as low income housing companies, single and multi-family residential property management companies, fully integrated real estate companies, multi location real estate brokerages among others. Functionally, he has managed complicated accounts payable processes, end to end accounting and reporting processes and monthly closing and yearly closing processes. Tajinder has an intermediate degree in Chartered Accountancy, undergraduate degree in accounting, and a master in business administration from Symbiosis institute of management studies. Ravinder is a veteran accounting professional with 28 years of overall accounting experience and 12 years of US accounting experience across Indian and US companies. He has handled many teams of junior accountants successfully transitioning critical processes in accounts payables, reconciliations and month end closing areas. Ravinder has good experience in transitioning accounting processes of industries in retail chains, logistics, CPA firms, and small business segment. 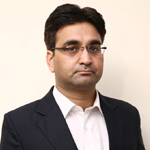 Ravinder holds an undergraduate degree in Commerce and Accountancy from Delhi University. He has been associated with our organization since 2007. Amit is a key member of our accounting team with close to eight years of experience in Indian and US accounting. Amit has a masters degree in Corporate Accounting and has good understanding of intricacies of accounting in small mid size businesses. He has handled complicated accounting assignments in real estate and property management areas across commercial, residential and retail segments. His attention to detail, focus on accounting practices and stress on accounting representation are key assets while transitioning complicated accounting processes. Backed by solid operational accounting experience across US and Canadian clients, Sanjay manages team of accountants working in AR, AP and monthly accounting processes. He has good experience of handling accounting intricacies in logistics and property management companies. Sanjay has also worked with Canadian clients particularly in the medical field. Sanjay holds an undergraduate degree in accounting and has more than twelve years experience in accounting, with about ten years of experience in US and Canadian accounting processes. 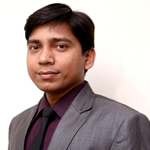 Natwar is a key accounts payable specialist in our organization. He handles complicated accounts payable processes in construction and property management divisions of a large, well known Canada based construction and developer organization. The process has multi-field, three way matching accounts payable part, which makes it one of the most complicated AP process that we have migrated to India. Additionally, his expertise in excel drives our internal efforts to improve the excel skills of our employees. Natwar holds a dual degree in Accounting and Law (LLB). He has more than seven years of Canadian accounting experience and two years of US accounting experience. Arjun Banarjee is a Certified Public Accountant (CPA) and an accounting, tax & strategy consultant with many years of practice in the US-Gaap accounting & tax domains. 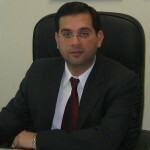 He is a principal at Axxis Financial Group, LLC – a CPA firm in Silver Spring, MD. His expertise lies is the areas of management & cost accounting, financial analysis, accounting systems, financial statement audits, tax planning & preparation. He works with small to mid-size businesses as an advisor, external-CFO or independent auditor helping clients with their corporate & financial strategy, accounting systems & processes, budgeting, financial projections and valuation models. He also works with international companies looking to establish business presence in USA; and handles their accounting & tax matters. We actively engage consultants/advisory members with prior outsourcing experience in US and UK accounting and taxation areas. These advisory members have worked in key outsourcing companies like American Express, GE, Outsource Partners International, and Xansa. They assist us in building US accounting and taxation domain knowledge, developing robust operations and quality practices, and strengthening in-house training endeavors.